British hard-rockers Deep Purple have finished recording of their new album, the band’s keyboardist Don Airey said in a phone interview with TASS ahead of the band’s concerts in Russia. “As far as I know, it’s all recorded and now… it’s on the tender mercies of Bob Ezrin (Canadian producer – TASS), he’s going to mix it. I haven’t been given a release date, I know nothing about that as yet. If I knew, I’d tell you but I don’t,” Airey said. On Thursday, June 2, the legendary band will rock the Olimpiyskiy Arena in Moscow. The next Russian tour dates include are: St. Petersburg on June 4, Rostov-on-Don on June 6 and Krasnodar on June 8. 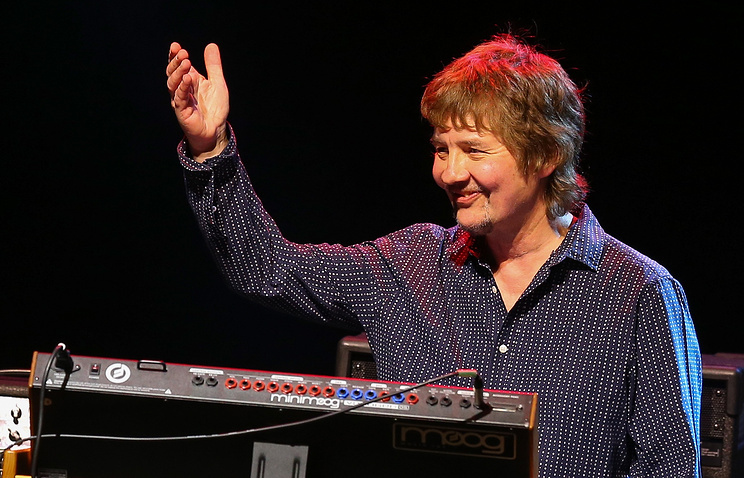 According to Don Airey, the concert set list will be “a good mix” of old hits and new songs. “Well, we normally devote 1 hour 45 minutes but occasionally it goes to 2 hours, you know, for if we start improvising a lot. It’ll be the old hits and a lot of the new ones from “Now What? !” (the band’s most recent album released in 2013 – TASS) so it’ll be a good mix,” Airey said. “You know, like “Highway Star” and “Smoke” and “Space Truckin'”. But somebody wants to play something. I think we’ll be doing “Demon’s Eye” which is very much a favorite of mine, which I suggested doing. So that’s entered the set list,” he said. The musician said that the band won’t play any songs from the coming album. “We won’t play anything from the new album until the album is released,” he said. “I always visit there because my piano teacher, when I was in college, he’d been taught there by Heinrich Neuhaus. So it’s always a nice little visit for me to go there. I’ll just go inside and have a quick look, it’s nice to be there, it’s such an amazing place with an amazing atmosphere. My piano teacher was taught there, the guy who taught me when I was in Manchester, he’d studied there. He told me in Manchester, he ended up in the Manchester school of music, but he studied in Moscow under Neuhaus and his friends were Richter and Gilels. He was called Ryszard Bakst, he was a wonderful musician,” Airey said. “Well, it was always a great favorite of mine watching Eurovision. And it was the most unlikely thing to be the musical director for the winning entry. It was just great. We still watch it but I miss the fact that they don’t have the live orchestra anymore. The trouble is that nobody is actually playing anymore, it’s all manufactured – backing tracks. I don’t think anybody is actually singing, I think it’s all pre-recorded,” he said.